Nature Nick’s Animal Adventures paid a second annual visit to Audubon House at the Oslo Riverfront Conservation Area, bringing with him a whole host of exotic animals from around the world. This week will feature a short sampling of the exotic, and often handicapped animals, that would not otherwise be able to survive in the wild. 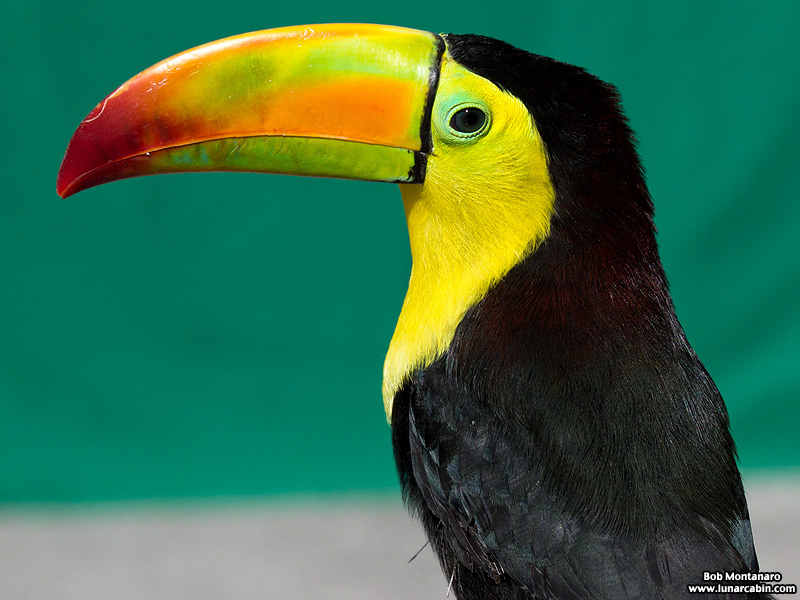 The Keel-billed Toucan is a native of tropical rainforest habitats throughout Latin America where its diet consists mainly of various fruits. It has remarkable vision and reflexes as demonstrated when Nature Nick tossed blueberries at it and the bird effortlessly caught each one before gobbling the treat down.